Since becoming the national capital in 1970, Belmopan has often struggled to escape the shadow cast by its larger rival and former national capital, Belize City. But every year, Belmopan plays host to one of the most exciting celebrations in the country – Belmopan Day. Belmopan Day is a one-day exhibition that celebrates the history of the city as well as showcasing local businesses. The event includes live music concerts, delicious food and drink, and fun games and activities for the whole family like face painting. Previous Belmopan Day celebrates also featured performances of traditional dances by Maya dancers in traditional costumes. 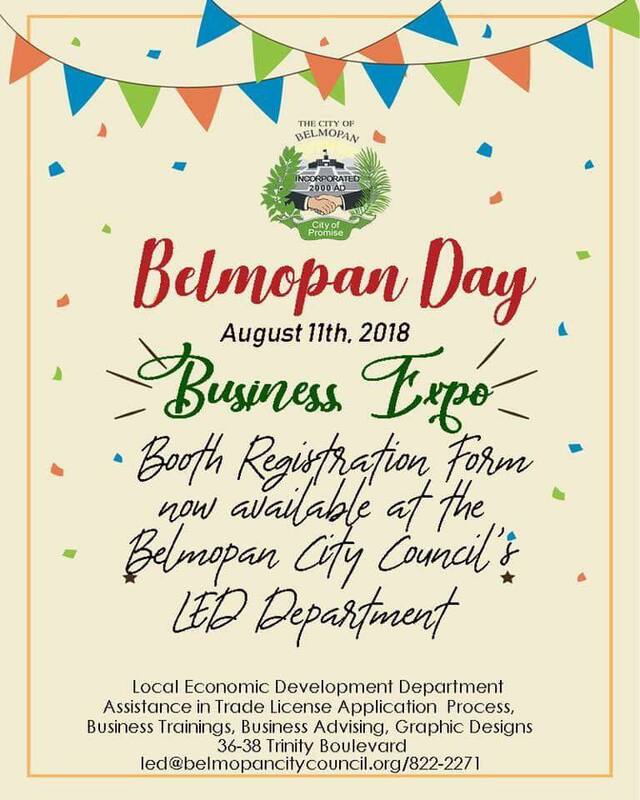 In 2018, Belmopan Day will take place on August 11 in Mae Gordon Park in downtown Belmopan. This year, Belmopan will celebrate its 48th year since the city formally became the capital of Belize. The event starts at 10 AM and ends at 6 PM. Since its founding in 1638, Belize City served as the economic, transportation, and administration capital of the territory now known as Belize. In 1862, Belize officially became a British colony and was known as British Honduras, and its capital was Belize City. But Belize City is located very close to the coast, leaving it vulnerable to damage from seasonal storms. In 1961, Hurricane Hattie struck Belize City, destroying approximately three-fourths of the city. As a result, the colonial government began plans for the construction of a new capital to be located in the interior. The name Belmopan was chosen as a portmanteau of the name of the country (Belize) and the Mopan River, the longest in Belize. Work began on building Belmopan in 1967, and the city was officially opened in 1970. Because the city was designed with a master plan, it has a uniquely symmetrical and organized structure, including several lovely parks and green spaces. And because Belmopan was a new city without a history, it attracted a very diverse group of inhabitants from across all of the country’s various ethnic and cultural groups. Attending Belmopan Day is a great reason to visit this lovely city and to learn more about its history, traditions, and architecture. Simpsons Insurance Agency Ltd. (SIAL) will be one of the featured exhibitors at Belmopan Day. If you have any questions about insurance or want to learn more about how to purchase commercial or private property insurance, vehicle, health and life insurance, be sure to drop by the SIAL booth! SIAL will be offering great prices and discounts on any insurance policy that is purchased during that day. Simpsons Insurance Agency Ltd is located on the 2nd Floor of Habet’s building, on Constitution Drive, Belmopan. Contact us today at 822-3587/ 822-3585.